Fevers are ready to kick off their 24 hour CD release party! 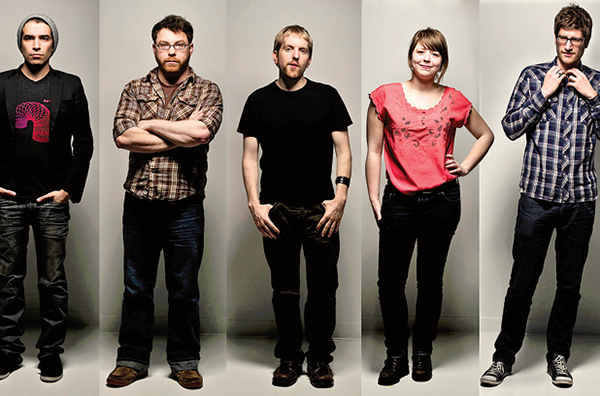 - Spotlight Ottawa	:: Spotlight Ottawa - Your local music scene. Get out and experience it! Fevers is ready to party and you can be there to celebrate with them. The long awaited follow-up to the fantastic Passion Is Dead is finally here. Though not officially released until August 27th, No Room For Light is currently available for streaming on exclaim.ca. It’s well worth the listen, especially if you want to get a preview of what’s to come before hitting the show. It all gets started Friday August 23rd with a couple of stripped down acoustic sets, as Fevers are joined by Loon Choir. Head to Mugshots (75 Nicholas St.) to get in on the action. The doors open at 9pm and the cover is only $5. The after party features DJ sets from Fevers, Atherton and J-Fun. Then on Saturday evening, head on over to Mavericks where Fevers will be joined by The Love Machine and Greg McEvoy for a full on set that is sure to have the crowd dancing and grooving. The doors open at 8pm and advance tickets are $10 (or $12 at the door).